Take extensive notes as you work as these will be useful to refer back to in discussions with your supervisor. 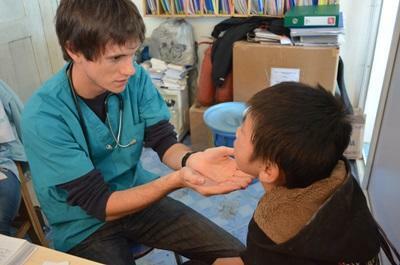 The supervisors on our nursing placements in Mongolia have a lot of time for keen Nursing students. You have the option to attend medical outreach projects. Previous programmes have included basic medical check-ups at a community centre for homeless people, and assisting with a hand hygiene campaign at one of the local hospitals. Projects Abroad also offer monthly workshops for Elective students that could be about traditional treatments, the history of the Mongolian healthcare system or practical lessons on basic medical procedures. During your placement you will live with a Mongolian host family. They are extremely hospitable and welcoming. You will also become part of the Projects Abroad volunteer community and have plenty of other volunteers to meet with on your time off. There is much to see in the area and a lively bunch of volunteers to experience it with.